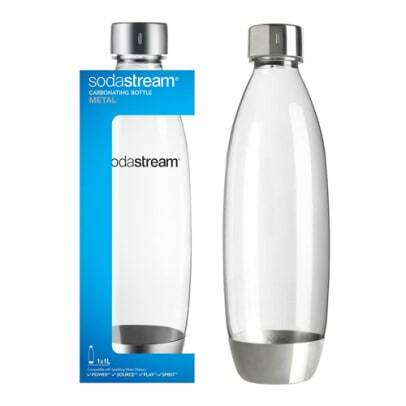 This bottle from SodaStream is free from BPA and produced from some of the best materials. The neat design includes a metal base and a lid made from stainless steel. 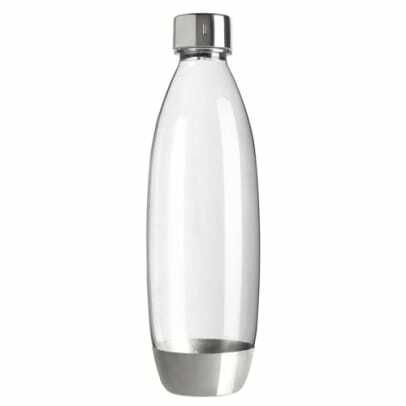 Serve mineral water or other carbonated drinks straight from this beautiful bottle, for all your friends to enjoy. The bottle needs to be washed by hand with water no more than 50 degrees Celcius.